Hi, my name is Cynthia Psaradellis. I am a McGill student who was born and raised here in Montreal. Growing up, I have received many skills and support from my Italian Catholic community. Last year I became involved in the Newman Catholic Students Society Centre where I enjoyed attending the Newman ball, Friday You Cat sessions with yours truly Terrel, Saturday masses with Father Greg, Eucharistic adoration, BBQs, visits to the Oratory, watching soccer games, playing soccer, visits to the planetarium and so much more!!! Cardinal Newman wrote in a letter, “The best preparation for loving the world at large is to cultivate an intimate friendship.” I have created intimate friendships with Jesus and other people from various cultures. I also became involved in Montreal Challenge Catholic Movement. 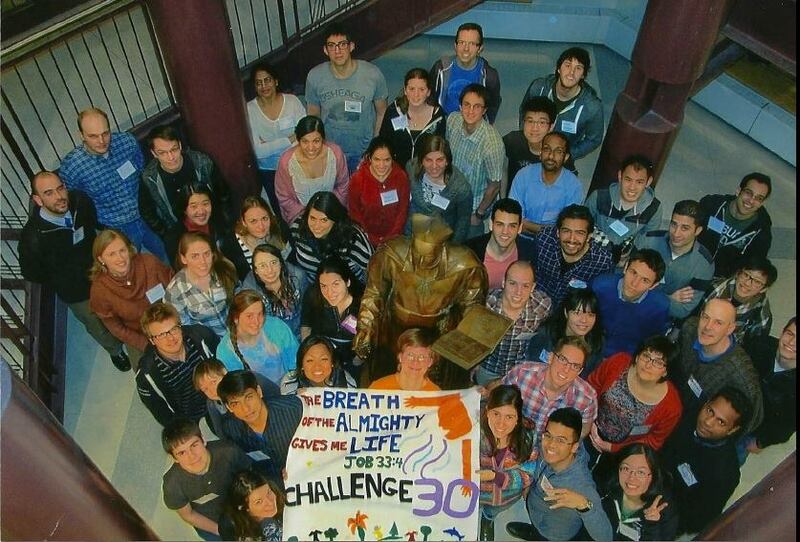 In simplest terms, Challenge is a group of 18 to 30 year old Catholics who meet up to support each other. Thank God, for the support of the Challenge community, I am able to overcome my problems. Challenge has also allowed me to deepen my faith. As a young adult, I enjoy singing praise and worship songs among a multicultural community of young Catholics. The skills and the support that I receive from the Newman, Challenge, and my community has allowed me to continue to pursue my studies in University with faith, hope, and love.